Share the photo below of the robe. Explain the significance of the dragon. Explain what the robe was and is. For Virginia second graders students should have background on this information. 1. Hold paper vertically and have students trace the robe template. (I use a template this saved me from tearing the hair out of my head trying to get children to use the whole sheet of paper on their own). The template can be derived from the above student example. I made it from an 18 x 24 (46 x 61 cm) sheet of paper. 2. Cut the template from the paper. 3. Divide the robe with lines to establish when the sleeves are and the wrapping. 4. Possibly have handouts with imagery found on robes-many thing from nature>blossoms, water etc. 5. 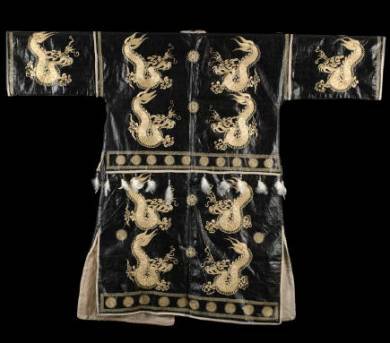 Certain patterns were designated for particular areas of the robe. This avoids the robe looking a little busy. 6. Students go over all lines with oil pastels. 7. Students then use watercolors to give color to the entire robe. Mention the color red being symbolic of the emperor. Topic: The dragon in the Chinese culture symbolizes the emperor. Topic: The Aztecs made fans from the feather of exotic birds that lived near their villages. The very wealthy were usually the only ones who would possess such a beautiful object. Objectives: The student will produce fiber art that reflects the qualities of the fiber of another age, culture or country. Construction Paper or preferably Paper Rolls - it is thinner and easier to work with. The Aztecs enjoyed rich color. These colors could be found is flowers, precious stones, and bird feathers. Feather crafters used feathers from parrots, macaws and the quetzal birds with its 24 inch feathers. 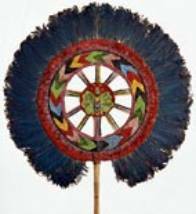 Aztecs created pictures, headdresses, shields capes and fans with these wonderful feathers. 2. Using the bulletin board paper-fold it several times to create a long narrow rectangle. Student will cut feathers from this paper. They will notice they will be able to make several because they folded the paper. 3. Paper feather will glued to the back of the painted paper plate ON THE RIM!! 4. Fill the rim-overlap and use different colors. Some feather can be super long. 5. A cardboard handle can be stapled or hot glued to the edge of the plate. 6. Glue second paper plate on top of the plate with the feathers. 7. It is optional that a Aztec symbol can be created on a second sheet of drawing paper (about 4 x 4 or 6 x 6). 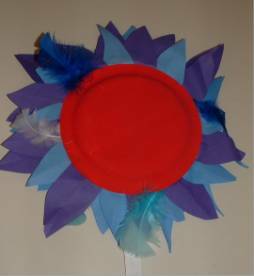 This can be colored and cut cut-glue to the center of the paper plate. Geology is the study of the earth, artists can take note of the interesting patterns that make up the layering of the earth. The student will create art that uses ideas and art forms from the past. 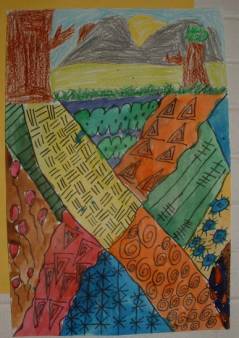 The student will identify and use a variety of lines in a work of art. Point out that there is obviously land above—landscape in fact. Point out how they as artists will take the idea of the landscape and layers to create a "unique" look at the layers of the earth. The jaguar was feared and respected in both the Aztec and Mayan culture. The student will use the design element of texture. The student willcreate a piece of artwork that characterizes a particular historical time and culture. The jaguar was always feared and respected by both the Aztec and Mayan cultures. Their hides were worn by warriors. Statues of jaguar were created for worship. Many everyday objects would depict the jaguar. 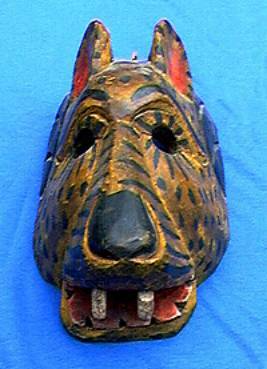 Just as in Pre-Columbian times, jaguar masks are worn today in parades and festivals. Wearing the e jaguar acted as a bridge between the known world and that or the spirit world. Take yellow paper and fold it in half. Draw half of the jaguar—use all your space. Discuss creating the texture of the fur of this cat. The medium length lines should be going in one direction. 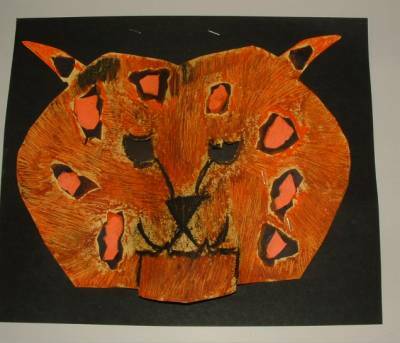 After the fur is created, scrap paper will be used to create the spots. Discuss "organic" shapes to create these spots. The colors consist of orange on black. Taking a close look at the structure of leaves gives us a chance as artists to notice the wonderful detail of lines that make up each leaf. Introduction: Share the painting by the above artist. Discuss colors of fall leaves and the changes taking place. Ask students how they can show those colors of the leaves as they turn and fall to the ground. Have students trace the rubber or real leaves onto the manila paper. (share how to place leaves in interesting places so that the drawing is interesting to look at composition. After all leaves are traced, demonstrate how to use fall colored oil pastels to give color to the leaf drawings. Demonstrate how to blend oil pastels. The background of the leaf drawing will then be colored with crayons using autumn colors. Emphasize that the coloring must be done in one direction. The crayon texture will contrast the oil pastel texture. 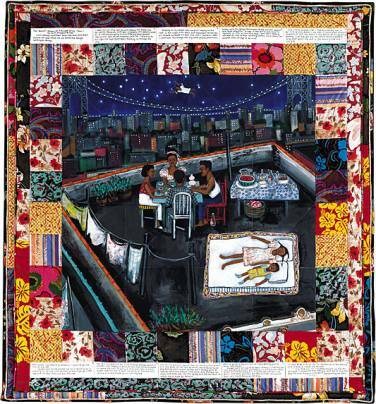 Tar Beach is a quilt that tells a story about a young girls hopes and desires. The student will use literary sources to generate ideas for works of art. 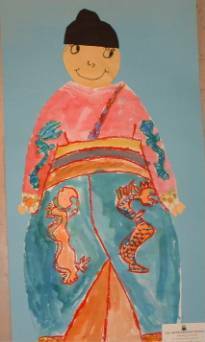 The student will identify and use a variety of sources for art ideas, including nature, people, images, imagination and resource materials. The remaining blank border that was created when the white paper was glued to the 9 x 12 (23 x 30.5 cm) paper can now be decorate with patterns. I used a black permanent marker to show "stitches"
Introduce the painting and the book Tar Beach by Faith Ringgold . Read the story. Point out images that symbolize freedom. Point out how we know she is in the sky above the buildings. Discuss what a quilt is—discuss how art can serve many purposes. Discuss their hopes and wishes. Create stars from oil pastels, glitter or silver wrapping paper or tin foil. 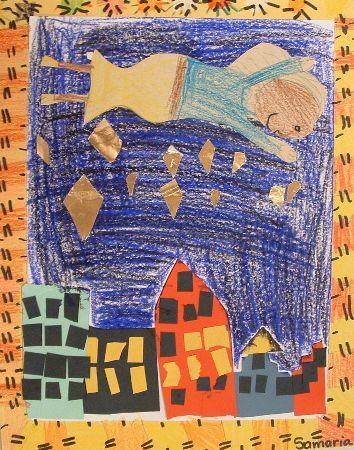 On the 4 x 6 (10 x 15.25 cm) paper students will draw themselves in a body position as if they are flying. Color, cut and glue figure above city. 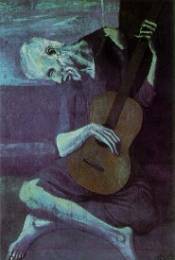 Pablo Picasso created a series of work in which a series of blue tints and shade were used to give color and mood to his paintings. The student will synthesize information to produce works of art. The student will use the primary colors and black and white to mix a variety of hues, tints and shades. The student will use the line and shape elements of art. The student will use art materials experimentally in expressive works of art. 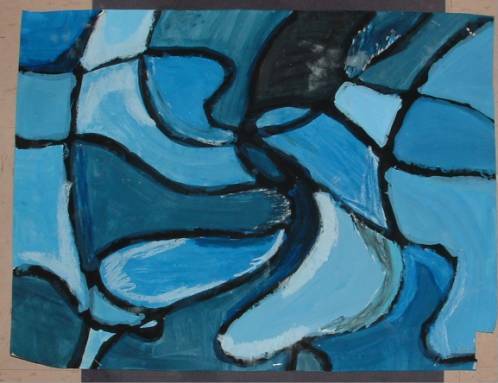 Picasso created a series of paintings that involved a variety of tints and shades of blue. Blue is usually used to create a very somber mood. The creation of these paintings were from his feeling after the death of a good friend. This was compounded by the fact that he was still a young man (only in his teens!) and living away from home for the first time. Define tint and shade and how to create them. Tint is a color mixed with white. Shade is a color mixed with black. In order for my students to feel comfortable with their drawing and painting abilities I opted to go the abstract route. They were to take a line-start it from any edge of the paper-draw until they get to another edge. They will create lines until they fell they have created just enough to make interesting shapes on the paper. Palettes were distributed only have blue, black and white on it. Students were asked to create a variety of tints AND a variety of shades. When the paintings were dry, oil pastels were used to embellish areas with more tints and shades in areas of the painted spaces.